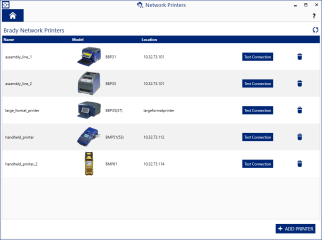 Having trouble finding your networked Brady printer in Brady Workstation? 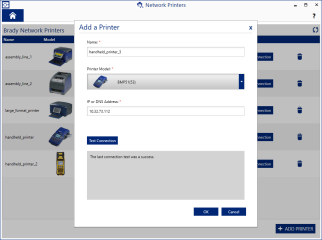 Use the Network Printers app to manually find and connect to your networked printer using the IP or DNS address when Brady Workstation is unable to automatically detect your networked Brady printer. Supports new BradyPrinter™ i3300 printer.